Canadian icon and entrepreneur Erica Ehm continues to inspire and reinvent after three decades in the public eye. A seasoned speaker, Erica's insights on Courageous Leadership and Successful Reinvention resonate in today's challenging landscape. Scroll down for Erica's surprising story. After 13 years as CEO of YMC.ca and Ehm & Co, Erica brings leadership expertise to her speaking, moderating and hosting events. Erica motivates entrepreneurs and intrapreneurs to adopt a success mindset. By thinking differently and facing fears which limit success, Erica helps businesses evolve. With years of live televison experience, Erica rocks every event she moderates or hosts. Erica partnered with pediatric pain research scientist Dr. Christine Chambers to develop It Doesn't Have to Hurt, an innovative science media partnership funded by CIHR. Their mix of personal storytelling and evidence-based research has earned them a prestigious Governor General's Innovation Award nomination. As a pioneer of branded content and social engagement, it was a natural evolution to launch Ehm & Co. Erica's digital agency specializes in marketing to Canadian women. Ehm & Co partners with brands and agencies to leverage technology, creativity and authenticity to convert female consumers. Erica co-wrote the children's book The Mischievous Mom Goes to the Art Gallery with Rebecca Eckler as a gift to her kids. It was published by KeyPorter. Erica is the founder of YMC (YummyMummyClub.ca), one of the most influential digital properties for Canadian moms, where she discovered a gift for harnessing creative talent. By connecting brands with her audience, she developed strategies to monetize motherhood. Under Erica's leadership, YMC grew into a profitable business fueled by 100's of social creators. Inspired by a bumpy transition into motherhood, Erica co-produced, wrote and hosted the TV series Yummy Mummy, a lifestyle program for the modern mom. Syndicated internationally, it can still be found on Amazon Prime. Love, marriage and a baby carriage. Having two amazing kids, Jessie and Josh, launched Erica's next chapter. Her passion shifted away from music to motherhood. Her challenge was to turn it into a business. While running her record label and promoting her book, Erica hosted a number of TV shows, including Popstars (GlobalTV), Power Play (Discovery), Real Life with Erica Ehm (Life). Her fave? A re-occuring role in ROBOCOP! Inspiring women and girls is a driving force behind everything Erica creates. Her debut non-fiction book, "She Should Talk: Conversations about Love, Life and Success", published by HarperCollins, launched her speaking career. She treasured her time on Much, but was craving new challenges. Still passionate about music, Erica put her television career on hold to co-write a catalogue of songs and launch a record label. Erica earned Junos and several songwriting awards. 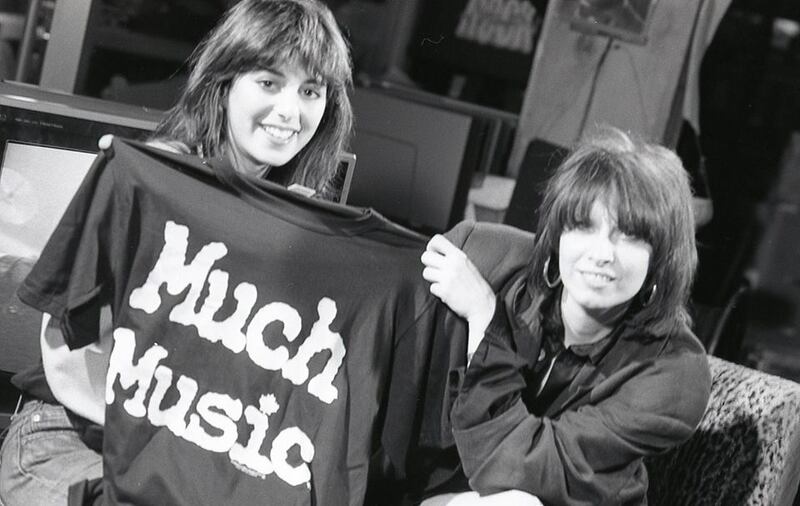 Erica was one of the first MuchMusic VJs. 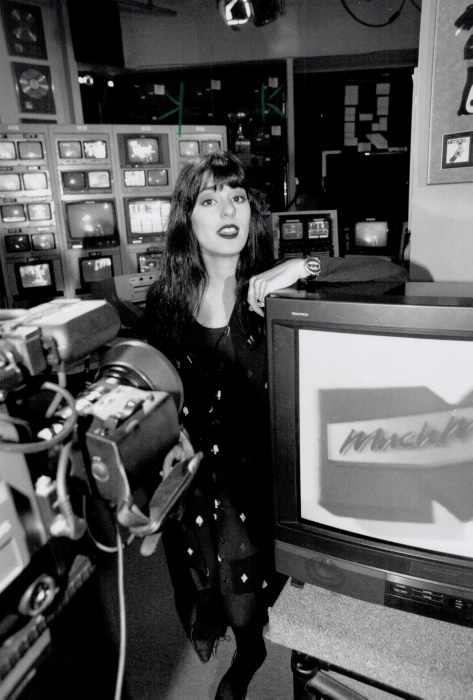 She spent a decade hosting live music TV, influencing a generation of young Canadians. The art of interviewing bands became second nature. Reining in rock stars isn't for the faint of heart. Erica Ehm was sent to Seattle to interview Kurt Cobain for MuchMusic in April 1983. Erica had no idea her interview with Kurt Cobain would go viral twenty years later. Here’s the behind the scenes story of what really happened. Hi there. Whether you need a host, a spokesperson, a marketer, a keynote speaker, or have an intriguing project, please fill out this form and we’ll get back to you! Thanks for your note. I’m looking forward to connecting.